Process valves are used in procedures involving chemical or mechanical steps to aid in the manufacture of a wide range of items. Some common process valve types include ball valves, poppet valves, gate valves, diverter valves, butterfly valves, and sanitary valves. There are a variety of materials used to produce process valves, depending on what their specific task will be. Matching the material with the task is important, because incompatible materials can contaminate the source if the valve is damaged as a result. 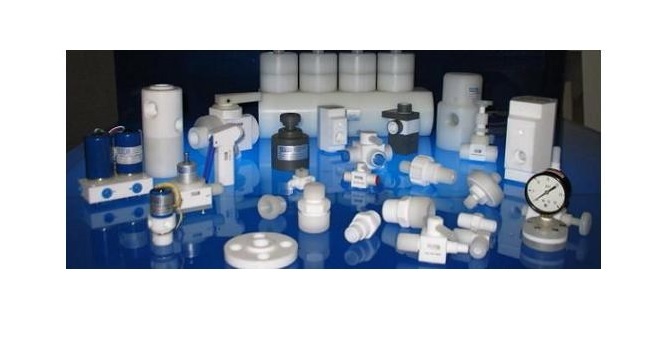 Possible process valve materials include copper, steel, stainless steel, brass, PVC and cast iron. Industries which use process valves can include mining, pulp and paper, chemical, waste treatment, food and beverage production, powder and bulk processing, and many others. Process valves that are automatic will typically be controlled by some version of computer, pneumatic, or hydraulic device how most types will be controlled by some form of pneumatic actuator. Based upon the needs of the application many process can be customized for a number of specifications. Typically this type of product will use two types of configurations. These configurations include weir (saddled) or straight (seated). The weir or saddle diaphragm valve is the most common valve for many processing applications however the seat type is ideal for slurry applications to reduce blocking problems. Process Valves Process valves include any type of mechanical device that can stop, start, or regulate the flow of liquid, gas, solid material, or steam. These valves are attached to one or more ports or passageways through which a substance flows.